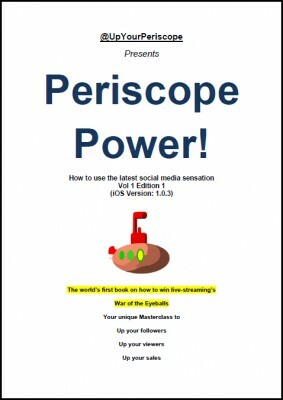 As the subtitle says, this is “The world’s first book on how to win live-streaming’s War of the Eyeballs.” I certainly agree on both counts. It is the first book and there is a war on already for the billions of eyeballs. This book contains a great deal of good information about the app itself. From the initial install and setup to creation of your first show, this book is a solid read. There is also a whole lot of basic advice about video production, show ideas, headline writing (your show title) and other subjects that are a bit unrelated to the app but could be useful. We cannot hold this rock-bottom price for long… As soon as the updated edition is ready we will make it available, with a new price. Uh, if you are reading this page in the book, you already acted. A little editing may be in order. 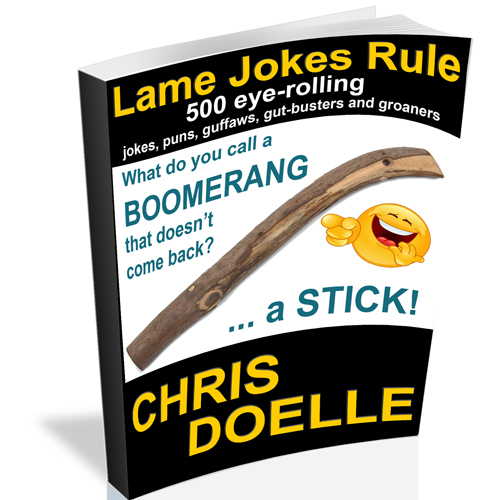 Okay, so their sales material is re-purposed and added to the beginning of the book, so what? Does the book still have value? 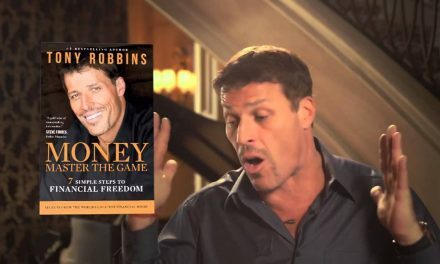 Yes, if you are the type that learns through reading, then this is a great resource to a beginner off the sidelines and into the game of live-streaming video. Live-streaming is the next big thing. It is indeed the Wild West and a land grab for real estate and attention are underway. 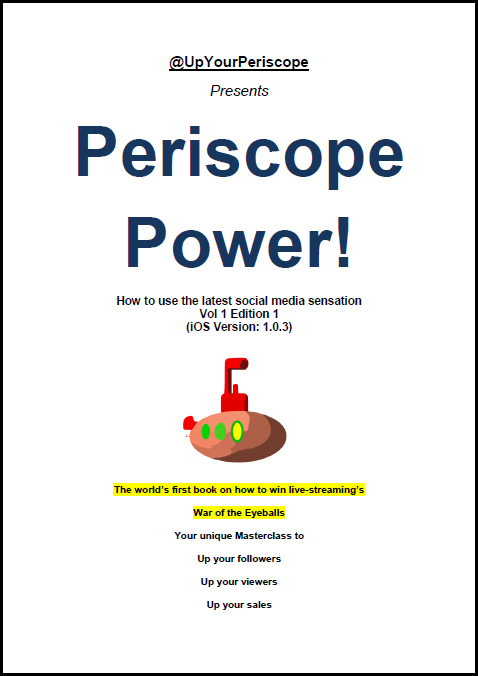 As I mentioned in a previous post, I am forming a Periscope Mastermind group with the intent of taking advantage of this technology and playing a role in the coming explosion. Fill out the form below to be considered for the group. From there, we will setup a phone call to see how you can be a part of the next big land grab for space on the internet – LIVE streaming video content!